If you have recently had a child in your class diagnosed with ADHD or Attention Deficit Hyperactivity Disorder, you might be relieved that there is finally an explanation for a child’s bad behaviour. A range of specific behavioural management strategies will have been developed by therapists tailored to the child’s individual problems. You will have been asked to adopt these strategies in your teaching methods, so that behavioural management approaches are consistent both at home and at school. In addition to these specific requirements for an individual child, there are a range of teaching strategies that will be helpful for teachers to use in a classroom situation. Teachers need to disassociate themselves from their previous feelings of anger and frustration with an ADHD child and their behaviour. Teachers should understand that ADHD behaviour is not a personal attack on them; it isn’t. If a child has been diagnosed with ADHD they may have been placed on a medication called Ritalin or methylphenidate if the severity of symptoms have indicated that this is necessary. Whilst the medication is working, the child should appear to be calmer and have a greater ability to concentrate. Teachers should try to identify which classroom events or situations are distracting to a child with ADHD, and under what circumstances they are able to concentrate best. 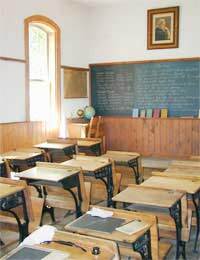 A child with ADHD symptoms needs to be seated as near to the teacher as possible, well away from doors and windows, and preferably near children who are quiet and focused. This will minimise surrounding distractions during classes. It may be helpful for a child to wear ear plugs to block out peripheral noise when they are required to concentrate on work rather than listen to instructions. It does not help a child with ADHD to allow them to get away with bad behaviour and do as they like. However, the way in which a child is managed in class is very important. ADHD is the reason for bad behaviour, but it is not an acceptable excuse for allowing it to continue. Positive behaviour should be publicly noted, but negative behaviour should be immediately addressed. However, any reprimands should be given privately on a one-to-one basis. A token and reward system can be extremely beneficial to recognise positive achievements and penalise negative behaviours. An ADHD child is not capable of sitting still and will fidget, so it is important to find ways to accommodate this. A stress or squeeze ball is a quiet means of fidgeting, and therefore not too distracting to others. If items need giving out to the class or a board needs wiping, giving the task to an ADHD child will help them to find an outlet for their need to be physically active. Children with ADHD have great difficulty planning and carrying out tasks in the right priority order. Providing an ADHD child with a checklist that breaks tasks down into ordered chunks will help to teach them planning and organisation. Getting a child with ADHD to repeat back what is required can also help to ensure that they understand what is expected of them. To make sure that you have the attention of an ADHD child when you are giving them instructions, maintain eye contact and allow them time to ‘tune in’. Once instructions have been given verbally, provide a written checklist and then ask the child to repeat back what is expected of them. When asking children to pack their bags for their homework, be specific about which items need to be taken home. For example, directing the class to pack spelling books and specific subject books removes the chances that an ADHD child will forget which items are required. Because of their ADHD symptoms and behaviour, children with this disorder are socially isolated and are frequently at the receiving end of bullying. To counteract this, selecting an older child who is respected amongst their peer group and giving them a responsibility of looking out for an ADHD child can help to stop bullying and help the child with socialisation difficulties. Teachers can expect to have an ADHD child in every class. Developing strategies that work will not only help affected children but improve the quality of their teaching overall, with benefits to the class as a whole.